25th anniversary of Ministry: our best season ever! 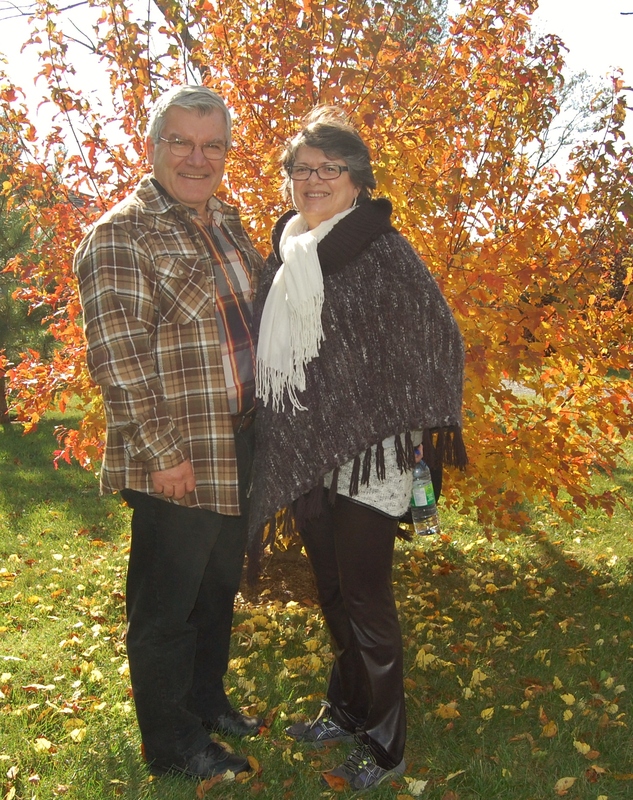 Posted by Heart Cry for Quebec in About Donald & Lorraine, Disciple Making Testimonies. Comments Off on 25th anniversary of Ministry: our best season ever! – From 1991, after biblical training in Briercrest Seminary (1988-91), Saskatchewan, our main focus has been to play a support role to local churches in Quebec through disciple making disciples by caring and investing in people and families. We have been involved in six Church planting expériences in Québec with the same ministry emphasis. – From 1993 – 1997 Donald was teaching, counselling and being a principal in a Christian High School when Lorraine was counselling, discipling and mentoring women in our local Church in Québec city. – From 1997-2001 Donald was taking the role of interim pastor in Farnham, QC and starting at the same time Church plaiting Eastern Montréal. – In 2001 God led us to travel six years across Canada to speak the message of Reconciliation between French, First Nation and English and to mobilize prayer for Québec, the most unevangelized mission field in North America. Donald’s book came out in 2008 as a result and was published at the 400th anniversary of Québec. Donald did a lot of interview on Christian TV. The book is a best seller in English with 5 000 copies and in French as well with 3 000 spread across Canada. – Since September 2011, God directed us to take an additional training in marriage counselling and enrichment with Caring for the Heart Ministry, Colorado Springs. With the reality that Québec lost about 50% of his evangelical pastors in the last 15-20 years, God gave Donald a burden to work with pastors and ministry leaders. Since our training, God brought over 60 pastoral and ministry couples in our home to take one week of counselling and life transforming experience. As a result, a coaching network has developped with the need to share and to implement tools for caring, counselling, disciple making and training leaders in the local churches. – We put together a GPS Group training for the local Church as part of caring ministry to train leaders to lead couples and individuals to emotional, spirituel and relational maturity. In the last two years, we have reproduced our GPS groups and training leaders with four (4) local Churches. Donald is also coaching about ten pastors to do pastoral counselling with couples. – In May 2016, God lead us into a new local Church that has a heart for lost and needy people. Ou local Church serve 75 to 100 baskets of food weekly; help immigrants to adjust in Québec culture; provide help for homework; teach “English” as a second language; help families in several ways; is closely involved in the community in partnership with many other non profit organisations. Lorraine and I arrive at a time where there is a need to train leaders in counselling and disciple making in order to care and to lead the new people and believers into emotional, spiritual and relational maturity. Our main focus is to train, coach and mentor ministry leaders and couples. – During Summer 2016, Lorraine and I took a training with Celebrating Recovery Ministry. We also visited two churches in Waterloo, ON and also Cross Road Church, AB who worked with the CR Ministry for a decade. Then, we have introduced Celebrating Recovery Ministry to six local churches of our pastoral network. Including our local Church, four have decided to start on CR Journey and two others are showing major interest to start the Ministry soon. This Ministry is a blessing for Québec mission field and context. – For five (5) consecutive years, Donald has been invited as conference speaker at Concordia University in a class of psychology to talk about his book “Window of Hope… and Reconciliation.” Each of the 100 students must read Donald’s book and write a paper on the subject. Invitation has been given for this Fall as well, October 20th (please pray). Each time Donald had full freedom to share his faith and new values that led him to write the book. – Through Alpha program, we developped a 8 years relationships encouraging and coaching Jean-Philippe Auger, a Catholic priest in his spiritual journey. He attended several of Donald’s conference and training on Disciple Making. He also took one week retreat of counselling with Donald. His interest for this subject with Donald’s coaching led him to take his D. Min. at Laval University on Disciple Making. As a result of his dissertation, he wrote a book: ” Jesus coached twelve ordinary men to make them extraorinday leaders.” He is now teaching at the Grand Catholic Seminary of Montréal and training young catholic priests. The Dean of Seminary said: “We need to train our young priets in a new culture of Disciple Making in order to fulfil the Great Commission Mt. 28-18020.” Donald was introduced by Jean-Philippe to the Dean with the project to speak to the students about “Window of Hope… and Reconciliation” and to teach them on the spiritual reality of Québec. – Looking back at 25 years of Ministry in Québec, we realise it takes time, perseverence and faithfulness in the ministry. Apostle Paul wrote in Ph. 2:19-22 “I hope in the Lord Jesus to send Timothy to you soon, so that I too may be cheered by news of you. For I have no one like him, who will be genuinely concerned for your welfare. For they all seek their own interests, not those of Jesus Christ. But you know Timothy’s proven worth, how as a son with a father he has served with me in the gospel. With this generation that is shaped by “fast food” and “tech” and “speed,” we really need to teach and value that making disciples and training leaders takes time and quality. Lorraine and I have observed over the coarse of our 25 years of ministry, that most people we had a long term caring, discipling and coaching relationships with are actually involved in the Ministry. NOTE: ON THE PHOTO (map of Québec), each BLUE flag represent a pastoral couple or a ministry leader that took a week of counselling with us in our home. This map gives demonstrates how God has been using us to plant seeds of REVIVAL across Quebec by implementing and reproducing DISCIPLE MAKING and CARING & TRAINING LEADERS. It is with praises and great expectations that we see God leading us in this season, the best ever and most fruitful time of our ministry life. Keep praying for us to be sensitive and to discern Holy Spirit leading in this amazing journey and movement designed by God for our mission field of Quebec. Thanks for your faithful praying, finaicial support and encouragement. 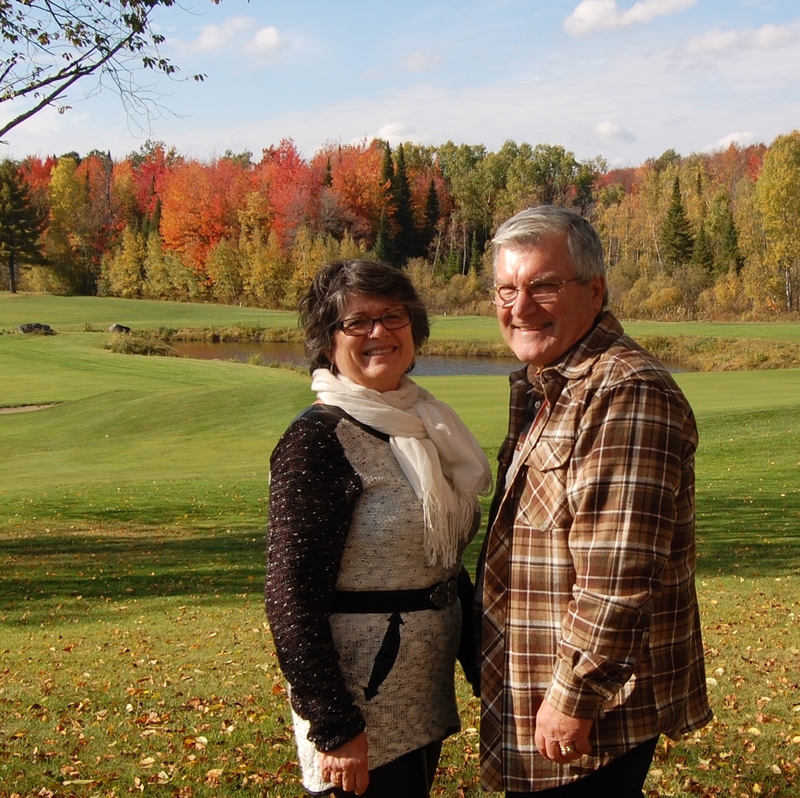 Posted by Heart Cry for Quebec in About Donald & Lorraine, Disciple Making Testimonies. Comments Off on Discipleship at heart level! 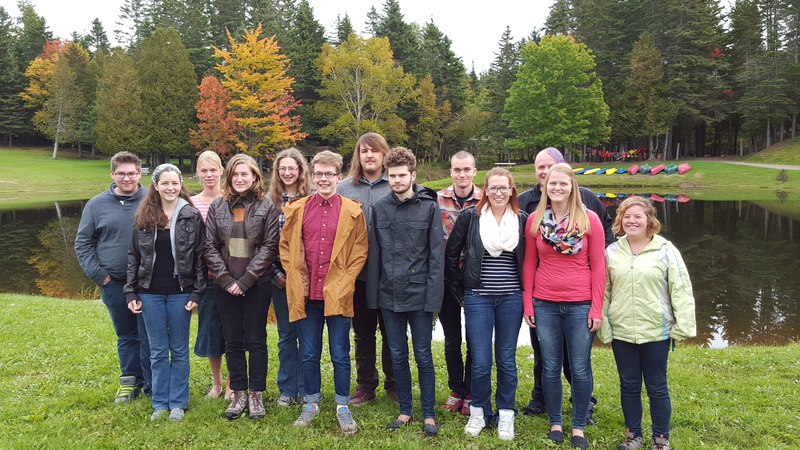 Donald & Lorraine spent the last week of October with Encounter Discipleship School staff at Bible Camp des Ïles , Québec, training 13 young adults in a journey to build emotional, spiritual and relational maturity. 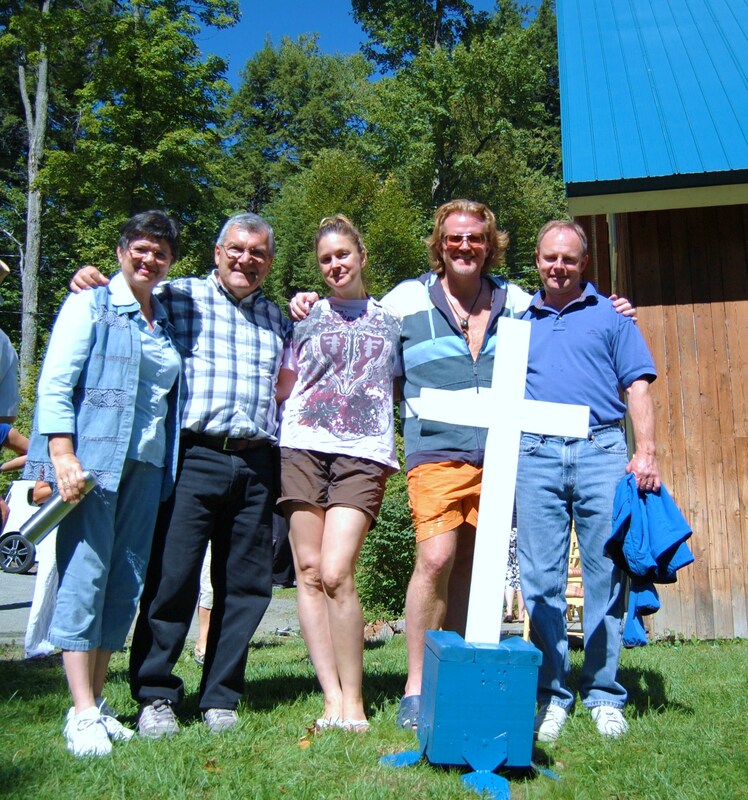 Those young adults are potential Bible Camp leaders recruited and trained by Hope for Canada – former Canadian Sunday School Mission. ” Hello Donald, Thanks so much for coming and sharing with our group once again. I received some really good feedback from our team on how they were able to see growth in some of the students as a result of it! Thank-you once again for allowing yourselves to be used by God in this.” Barry, director Encounter Discipleship School. “When I heard about Québec the ‘Grown up Orphan child story, living in Canada, a hurting blended family…’ that changed my understanding about Québec and Christians in Québec. 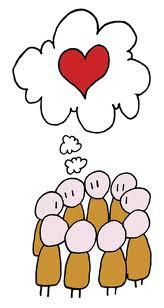 Posted by Heart Cry for Quebec in About Donald & Lorraine, Disciple Making Testimonies. Comments Off on Happy Thanks Giving! In a recent BBQ & fellowship at our local Church, Lorraine led Winser and Myrtha to the Lord. Pray for follow up. Donald and Lorraine led Donald’s friend Bernard to Reconciliation with God. He is at hospital dealing with aggressive terminal cancer. We are now reproducing Disciple Making GPS groups. Our pastoral care and coaching Network includes: Alma, Roberval, Jonquière, Québec, Sainte-Anne-du-Saut, Brassard, Montréal and Prévost. We are working at adjusting and translating in French Disciple Making “The Way of Jesus” for Quebec context. Every month, we host in our home a “one week of pastoral counselling retreat” for a pastoral couple or single ministry leader. We have started to reproduce the pastoral counselling with couples by training local Church lay leaders in diferent local churches of Québec. October 15, Donald is Conference speaker at Concordia University, Montreal. He speaks to 100 students on the subject of Reconciliation. They have to read Donald’s book “Window of Hope and Reconciliation” and to write a paper on the subject of Reconciliation of Canada, a hurting blended family. A “GPS” is a tool that provides direction to get to a chosen destination. In the same way, our GPS is a guide that leads the disciples in three relational directions of his life. • A guide to grow toward spiritual and emotional maturity (with God). • A guide to learn how to relate and to take care of each other (relations with others). Thank God that he provides for all my needs at the time. Personal meetings following the current GPS are the perfect example. They allowed me to discover the healing of my savior from a new angle. Freed from my past hurts, I can now continue with my growth, hand, arms against doubt, fear and discouragement. When I heard the announcement of emotional healing courses in order to be usable in the hands of God and blessing to others, it was clear that I had this opportunity. However, I felt myself quite exceeded; I would have had a full time week to digest each lesson … I did the readings, the Lord showed me many of my hurts (I was surprised), but I could not make a synthesis and see the central node in relation to which I would ask Jesus a specific issue, my duties were often incomplete, I could not. I also had serious discouragement of time before the extent of my misery… Before our final evening, I set aside a full day to ask God to show me what I should ask him to intervene, I asked the “solution” I struggled with what to me to first appeared distractions, then I realized that the songs that arose came from The Holy Spirit: God wanted me to take time to listen and to enjoy his love. I put aside my search for a solution, and I am left “rocked” by the love of Jesus. GPS leaders for women: Witnie, Lorraine and Tamar. I am very far from having exhausted the subject and GPS tools. I just started … I feel not having “done the homework.” I have to accept that it takes time. I can say though, I see that healing has already begun on many of the injuries I realized my bad reactions are shorter and less intense. I am very grateful to God. Having attend the first course GPS, has been beneficial for me. I needed to take care of me before taking care of other people. I have learned about myself, now I have a different perspective on the problems that arise: I see them come and solves otherwise. Thank you for the GPS group. At first I was nervous, not knowing what to expect. It allowed me to better know and understand me. I enjoyed the interaction with other participants of the group. I could see that everyone has their struggles and, listening to the stories week after week, I found that you can get out and look for victory. GPS course also really helped me better know Jesus and how he wants to have a relationship with each of us. With GPS group, I learned to openly express my emotions and hurts. I had never experienced this in the church and I’m in church since I was young (26 years in the church). I was able to flourish by finding the words pain I was experiencing and to address them. Now I can watch the recurring sins to another degree, than simply addressing the sin itself. Why did I respond so? Will he one source to this recurring problem? I now have the tools to address sin to cope. GPS leaders for men: Richard, Donald and Luc. In summary, this ministry was a great way to grow and review the concepts of emotional wounds while continuing work to give all to Jesus. It was an excellent material and we learned to use by ourselves. As part of the group, we were able to see Jesus at work in others. Through sharing and openness of each participant. As for us, this is what we would like to live in a church; we pray for a spiritual family like the GPS group, spiritual healing and that they can in turn make disciples. I would like to express my appreciation for the GPS group. I understand the struggles that I lived and I could not find a solution. At first I did not know what to expect. I had fears because I had often heard the following speech, “Trust in the Lord! “But I did not understand how to do this pratically. When my struggles reappeared, I was ashamed, and I sank further into isolation. With GPS group, I saw that I was not alone in having experienced this and I appreciated the formula of the group which allowed us to open up without fear and respect of confidentiality. With GPS course, I could learn how to practically entrust my pains, my wounds, concerns Jesus in prayer of the heart. I have the tools now to face my struggles, and thank you Lord, I am no longer helpless and I can get out of my isolation. My Christian life was daunting and I had almost lost hope. The GPS group seemed to me a risk but I was strongly attracted. I trust the leaders, which helped me. I saw that I was not the only one fighting. I was surprised especially built through transparency of the leaders. It allowed me to open up more easily without fear of being judged as I experienced before in church. I see a light at the end of the tunnel. With GPS group I get hope for my Christian life and for others. I am far from victory over all, but my way is more encouraging. On November 9th, Joel will introduce “Seven-Fold Way of Following Jesus” in our home with key leaders. On September 28th, we launched our GPS groups. By definition, a GPS gives direction to reach a destination. PRAISE God for the 10 women and 10 men committed to attending our GPS groups. Disciple Making: a journey to meet God at deeper level! Posted by Heart Cry for Quebec in Disciple Making Testimonies. Comments Off on Disciple Making: a journey to meet God at deeper level!